Iconic amusement park Knott’s Berry Farm is considered one of America’s “must see” attractions. Southern California natives and visitors alike return to this historic park every year, which had its humble beginnings in 1920 as a simple roadside stand owned and operated by the Knott family. 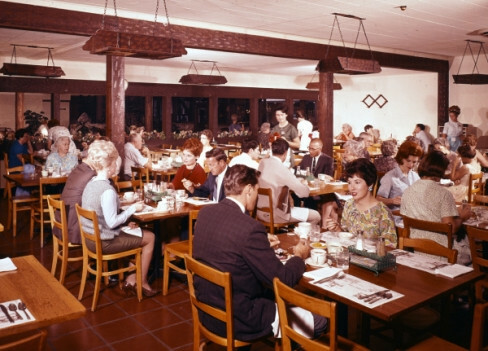 Eventually the location evolved into the famous Mrs. Knott’s Chicken Dinner Restaurant, which first opened in 1934, before shops, roller coasters, and other attractions were added. 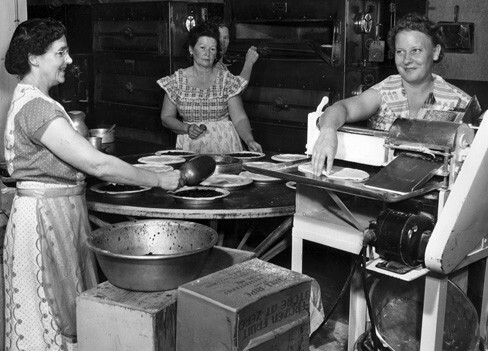 Mrs. Knott’s Chicken Dinner Restaurant, 1940. Photo courtesy of Knott’s Berry Farm. 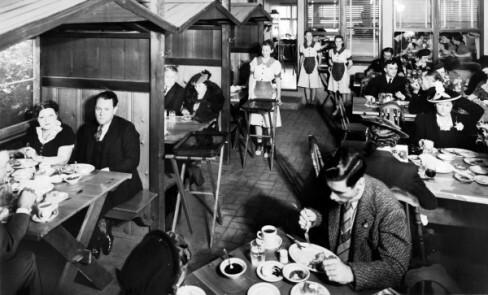 The restaurant circa 1949. Photo courtesy of Knott’s Berry Farm. Around 1960. Photo courtesy of Knott’s Berry Farm. Earlier this year, Knott’s Creative Director Lara Hanneman contacted us about contributing to their redesign of Mrs. Knott’s Chicken Dinner Restaurant. 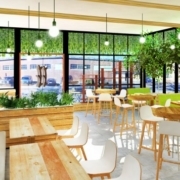 The historic eatery would be refurbished with new furniture, flooring, lighting, and décor. The goal? To update this well-loved restaurant without losing its rustic charm and historic personality. We were honored to be a part of refurbishing one of America’s most popular family restaurants, and we set to work immediately on new design ideas. 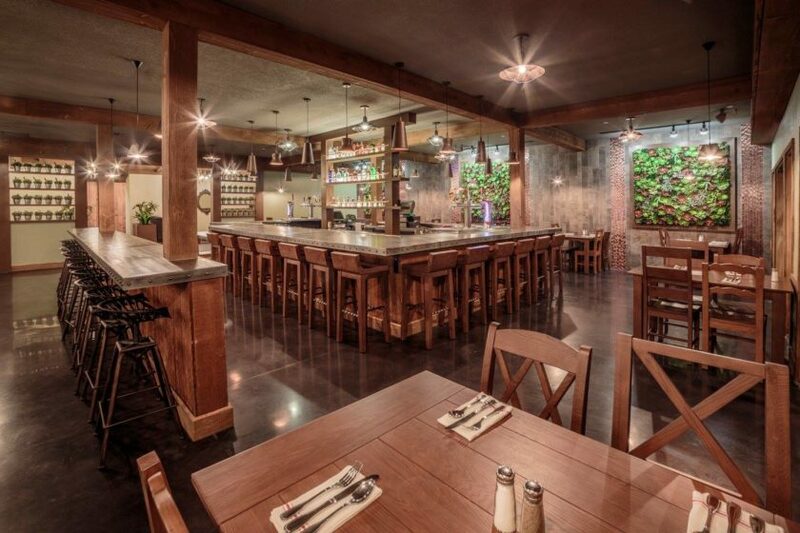 In an effort to break up the wood grain on the walls and floors, we worked with Hanneman to add a splash of greenery to the restaurant’s interior. Our design team suggested adding artificial living walls with a mixture of succulents arranged in a contemporary design mounted on a durable iron frame that keep the plants firmly in place. This eco-inspired artwork was then framed in our durable fiberglass frame in a finish that resembles wood. 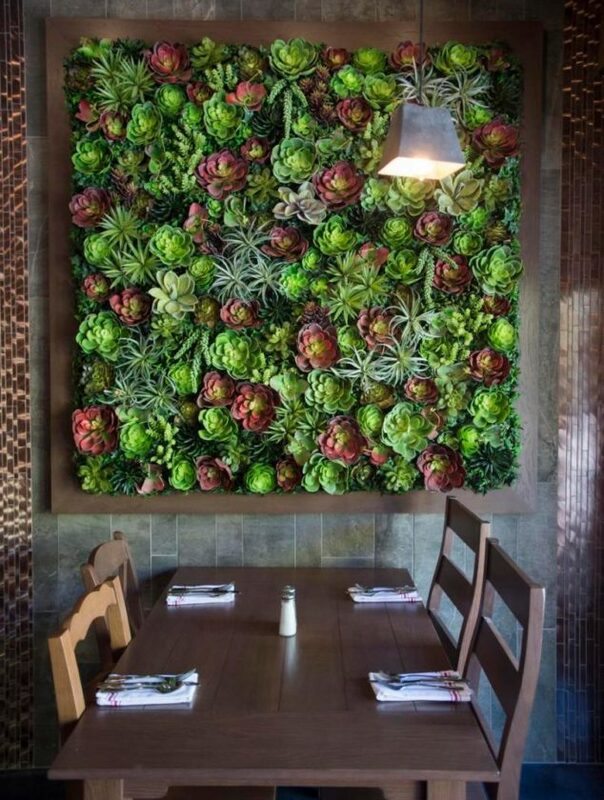 This modern succulent art instantly added textural interest and a grounded, organic design sensibility to the place. 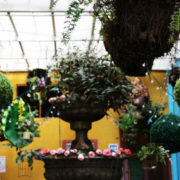 After the refurbishment, with succulent walls hanging in the background of the restaurant’s new bar area. Photo courtesy of Michael Goulding, Orange County Register. Photo courtesy of Knott’s Berry Farm. Artificial Succulent Wall by Artificial Plants Unlimited. Photo courtesy of Michael Goulding, Orange County Register. Like the Knott’s succulent wall, all of our artificial living walls can be customized with brand-specific logos and artwork, artful designs, and virtually anything you like. Finished with a frame or left unframed, these artificial living walls are a simple, yet impactful, way to add a touch of greenery without the extra expense of maintenance. 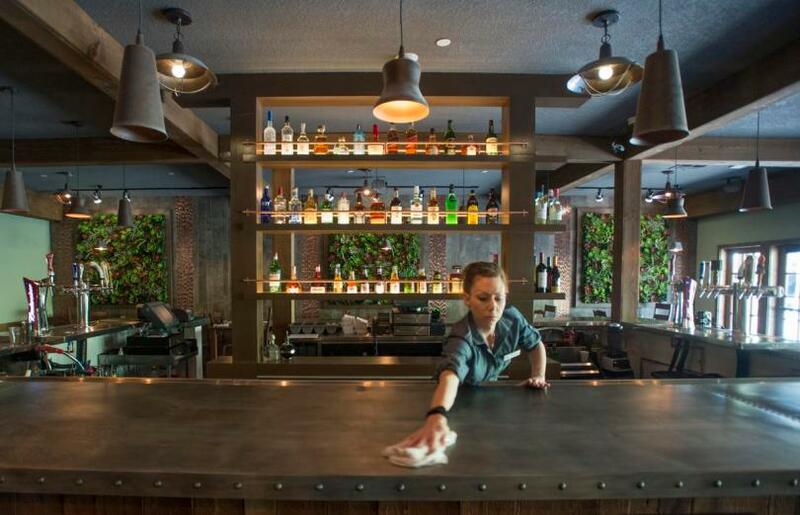 Made from realistic faux plants and flowers, our living walls look like they’re living, yet require zero water and will never wilt or die—making it the ideal design piece for a high-impact environment like a busy restaurant. Choose one or more of the following plant designs to create a faux plant masterpiece all your own: boxwood, ivy, long grasses, vines, flowers, and succulents. Not only are our artificial succulent walls zero-maintenance, but they are also ready for installation upon arrival—simply hang and enjoy! To tie the new look of the inside to the outside, planters would be added to the restaurant entrance to spruce up the exterior. These planters would have to match or complement the barn wood exterior and the “Old West” theme of the grounds. 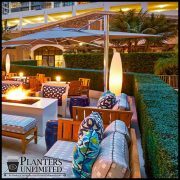 We suggested using our sister brand, Planters Unlimited, and their Madera Fiberglass Planters in a hickory wood finish. 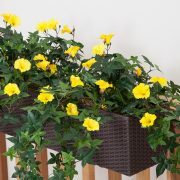 Though these planters have a natural-looking wood-grain finish, complete with realistic-looking knot patterns like those found in real wood, their rectangular and square shapes would introduce a more modern, streamlined design. 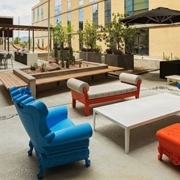 Madera fiberglass planters line the restaurant’s front entrance. 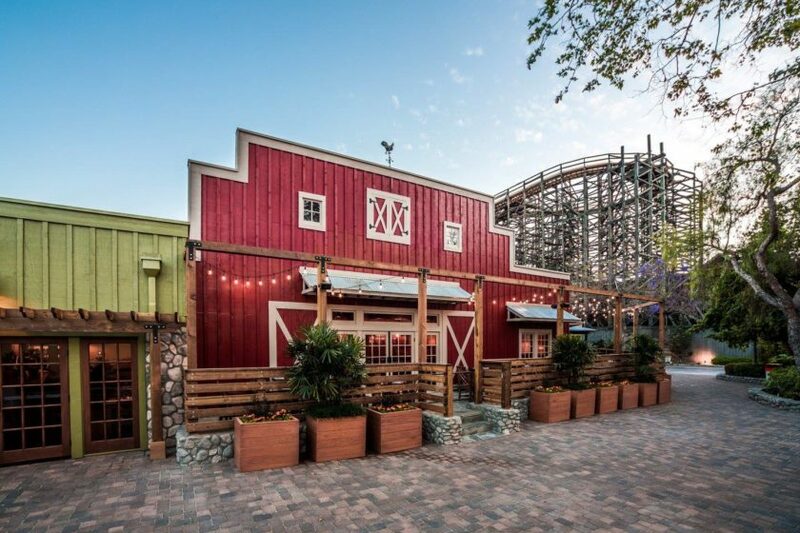 Photo courtesy of Knott’s Berry Farm. 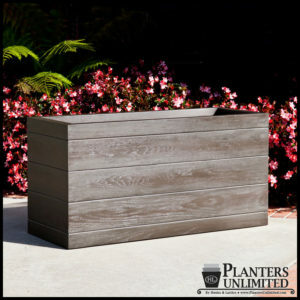 Planters Unlimited’s lightweight, durable fiberglass planters, like the Madera, are available in a range of styles, from contemporary to traditional. 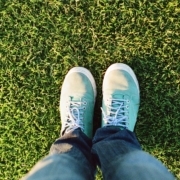 Made to withstand extreme hot and cold weather conditions, including freeze cycles and intense heat, these long-lasting planters won’t rot, warp, or suffer any damage, even in high-impact environments like theme parks, shopping centers, and other busy areas. 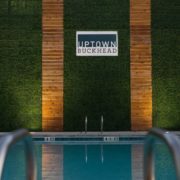 Custom finishes, false bottoms, specific shapes, textures that resemble everything from concrete to bronze—these fiberglass planters can be customized to give you the look you’re after with the long-lasting durability of fiberglass. Ready to Refurbish? Let Us Help! 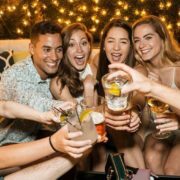 Looking for some help on a custom living wall that won’t need any time or money on regular maintenance? Have an idea for an oversized planter, or a planter design you’ve yet to see on the market? Our custom manufacturing capabilities are extensive, meaning that if you dream up a commercial design idea, we can probably build it for you—with no minimum order and at no extra cost or lead time.